2016 is drawing to a close, so now seemed like a good time to think about the good things that have happened in 2016. I thought I'd start with the main place I share knitting pictures: Instagram. I've really gotten into using Instagram this year, mostly for sharing knitting photos, with the odd bit about my life in there too; it makes a very speedy alternative to writing a blog post. Here's my best nine photos, based on number of likes, if you want to make your own, head here. Top row: Top left are my Lynda socks, my first ever sock design (currently exclusive to Knit Now magazine), and named after my friend Lynda, who encouraged me to knit socks. I have a lot to thank her for! Top middle features my little jar of advent yarns; the jar got full rather quickly - this photo was taken halfway through December and the remaining balls of yarn are stashed in a bag of bags. And no, I still haven't decided what I'm doing with the Paintbox yarns minis... Top right is my daughter's Rudi jumper, knitted in a couple of days at the end of November and finished just in time for our visit to Santa. The jumper has been worn throughout December, and while it might not get that more wear this winter, I think it'll still fit next year. Middle row: Middle left: I knitted these socks over the summer as part of the Summer Socks KAL hosted on Ravelry* and Instagram. The socks are knitted from West Yorkshire Spinners Signature 4ply (my favourite sock yarn), using their Rum Paradise self striping yarn for the toes, heels and cuffs, and Bubblegum for the rest of the sock. I'd not seen socks knitted like this before, and was delighted with how they turned out; I used Susan B. Anderson's Smooth Operator pattern, but any afterthought heel pattern would work if you fancy making your own. In the centre you can see the sock I knitted in the 24 hours between Christmas Day evening and Boxing Day evening. Whizzy knitting is just what I needed! Sock is knitted in Regia Pairfect. 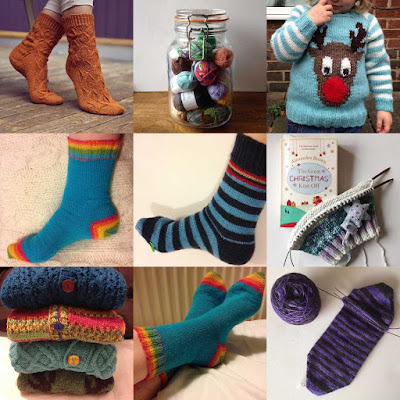 Middle right: some may argue this photo is excessively knitty - hat knitting, and an easy read featuring a lot of knitting (utterly implausible, and rather cheesy, but I did enjoy it; it's available here if you fancy reading it for yourself) - but not me. I managed to read the book while knitting the hat (admittedly by breaking the spine, which I hate doing, but sometimes needs must), which made for a nice relaxing period of Christmas present knitting. Bottom row: The bottom left shows a pile of my son's outgrown handknits, knitted by me and my mum. This picture fills me with joy and a tinge of sadness. I am hoping that my daughter will wear some of them, but what do I do with the precious outgrown knits once we're done with them? Bottom middle features those socks again. Turns out everyone else liked them too! And finally, on the bottom right, you can see my grey and purple striped socks that I knitted from yarn I purchased at this year's Yarndale. I had meant to walk all the way round the show before making any purchases, but couldn't resist this yarn that I saw for sale on the Rosie's Moments stall, which was one of the first stalls I saw. I really enjoyed knitting the yarn up, and the socks are getting a lot of wear, so it was definitely the right decision. If you fancy following me on Instagram, my using name is vikkibirddesigns. I did try, but I couldn't choose just one. Busy buzzy bumble bee was designed for a friend's second son. Bright colours, a busy bee, chunky yarn for a quick project. This ticks all my design boxes! Harvet's Bounty wasn't technically designed this year - I wrote it slightly sleep-addeled with a 4 month old a couple of years ago, but I love everything about it, and am glad to have finally sent it out into the world. 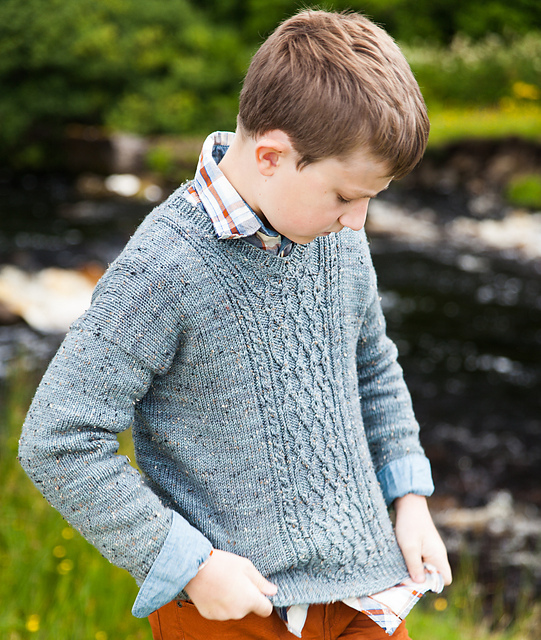 Waddle was published in Knit Now magazine towards the end of the year, and turned out exactly how I envisaged. The model is also totally adorable! I was lucky enough to visit both Edinburgh Yarn Festival and Yarndale this year, and can't choose between the two. 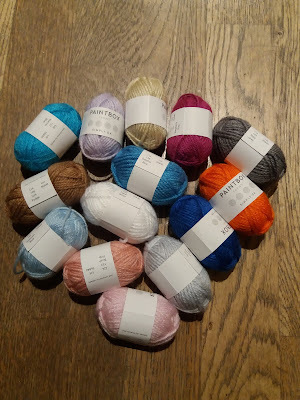 Edinburgh, in March, was a lovely day trip from Durham with Durham knitting friends (and the lovely Louleigh); the festival is small, and features yarn at the higher end, with a lot of beautiful hand-dyed and rare-breeds yarn. There was also plenty of space to sit and chat and knit, and a whole host of social activities to attend if you're staying for the whole weekend. I had a lovely, if exhausting, day petting yarn and chatting, and would definitely recommend the festival. I visited Yarndale in September with my friend Amy. The festival is much larger than Edinburgh, with a much wider range of stalls and products available. I enjoyed the vibrancy of the show, and its general hustle and bustle, but it was a lot harder to find somewhere to sit down when you needed a rest, just because of the sheer number of people, and often harder to get close to the really popular stalls. I've been for the past two years, and, while I enjoyed it, I'm not sure I'll go again next year. I resisted this unicorn head by Sincerely Louise at Yarndale. I still have no idea how. In the summer I finally submitted my PhD thesis (on Polymer Physics) after working on it for seven years, which was a major achievement. I passed my viva in July and submitted the final version in November. Life post-PhD has taken some adjusting to, and I'm still working out what I want to do long term, but at the minute I'm very pleased to have completed it, and am looking forward to graduating in January. What have been your favourite things of 2016? And what are you looking forward to in 2017? Thanks for reading. Happy Christmas, I hope you all had a good one! We had a chaotic day of present opening and food eating. An excellent day! 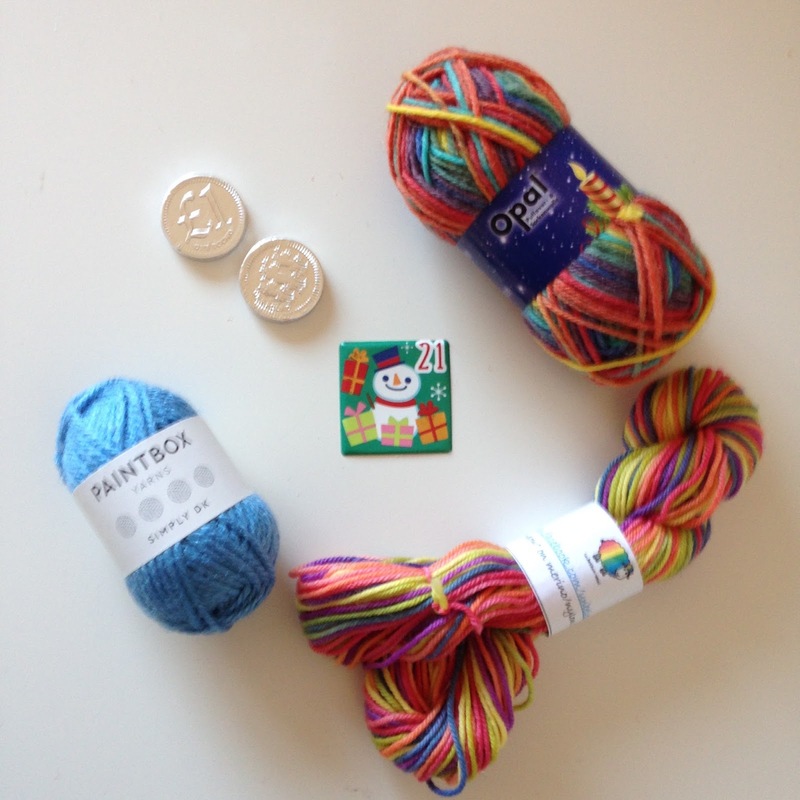 I only received one ball of yarn, which was a bit of a relief as I already have rather a lot (and still haven't used all the yarn from last Christmas), and that was from a Secret Santa that mandated the inclusion of yarn (knitters are good at Secret Santa, and Secret Santa between knitters often becomes something of a yarn swap). The yarn is Regia Pairfect, which had been on my wish list for a while - it's designed to make it easy to knit two identical socks (there are yellow starter threads to show you where to start your socks, and the yarn changes when you have to knit the heel) - and was on the needles by the end of Christmas Day once the kids were in bed. The day after Christmas is a bank holiday in the UK, and is called Boxing Day. The kids were happily entertained with their new toys, and we had no other plans, so I spent much of the day sitting and knitting. So much so that I managed to knit a sock in under 24 hours, which has never happened before! The yarn is standard Regia, nothing luxurious, but nice enough to work with, and the socks will wear really well (the yarn has a 10-year guarantee); I found the stripes really motivational as I raced through the socks. Today has been a little busier, with the kids not quite so intent on enjoying their gifts, and other things have needed doing (like laundry, there's always laundry! ), so sock progress has been rather slower today: I am still on the ribbing! I will get through them by New Year though, then they're going in the present box - I have size 10 feet, which handily matches a lot of other people I know - I am definitely going to be ahead of the game for next Christmas! Obviously I meant to write this earlier in the day, but here is the final Christmas coutndown post of 2016. A day mostly spent driving, initially in good conditions, then in horrible ones as it got dark, and wet and windy. The highlights of the day were knitting and hot chocolate in service stations, with the very highlight of the day being knitting on the sofa at home! The advent calendars handed out some pretty yarn, which mostly got ignored as long-distance driving does not lend itself to blanket knitting. A day of last-minute Christmas preparations: food shopping, present-wrapping and baking. I made a batch of mince pies, but couldn't find the cutter for the tops so went with the letter 'M' instead, which allowed for comic 'mmm' mince pies! I also made sausage rolls, which are one of my Christmas Eve traditions. The advent calendars provided some lovely colours for the final day, and some banana cream, which is not my favourite! Time to wait for Santa to come, and to catch some sleep before two very excited children make an appearance! Hope Christmas is good to you. Merry Christmas everyone! A lovely relaxed day with family. I even managed to fit in some knitting on my sock yarn blanket, and somehow knitted an entirely green square from what, at the end of the square, looked like a purple ball of wool. I'm pretty sure this makes me a magician (though I am a little miffed that the purple didn't make it to the square - the purple and green makes me think of Spring, which is very welcome at this time of year)! The advent calendars might have given me their best day yet! I love everything that came out, and can't wait to add Day Twenty to my blanket. The shortest day, although with children that just means the shortest period of time available to let them run around outside... I finally got round to putting on my Christmas nails (these are Tinsel Time by Jamberry; they're nail wraps, sold via independent consultants, I buy mine from http://samfindlay.jamberry.com/uk, run by Sam, who is a friend in real life). It's the first time I've put on a whole set of Jamberry wraps (I normally do a couple of accent nails with nail varnish on the other nails), and a couple of the wraps could have been applied better, but the overall effect is great, and I can knit while I wear them, so I will use them again. I also did some knitting on the Christmas socks I started in November; while I did knit a couple of stripes on them, they're definitely not going to be done by Christmas, oops. Another good day from the advent calendars, although the lack of light did result in a slightly blurry photo, which I didn't notice until I made the photo bigger this morning, sorry! It's still early as I write this, but I have a good day ahead: I am off to see school-friends for coffee this afternoon and get to meet my friend's (who lives in Australia, but is over in the UK for a couple of months during her maternity leave) daughter, who is 8 months old, I can't wait! My daughter has loved having access to all the jigsaw puzzles at my parents house, so we've already completed one this morning (fortunately not too big - we've hidden anything with more than 54 pieces). Today the advent calendars yielded a bonus surprise: two tokens from my son's Batman car. I had noticed my daughter poking about with the Paintbox Yarns box, and that a couple of the doors had been disturbed, but not that she had made additions! It made me smile, so I thought I'd share. A bit of a mixed bag of colours, and I love them all individually, although maybe not together. I do finally have some red from the Paintbox Yarns calendar, so whatever I make from the yarn will look more festive! I found one festive treasure at my parent's house, a cd my sister played on a loop over one Christmas (and I've no idea what the B-side was, so I suspect she played just the one song on a loop), and a song I'm pretty sure I can sing in it's entirety now, many, many years later: I Want an Alien for Christmas by Fountains of Wayne. I'm saving it for the car journey home, it might amuse the kids for a bit. Or drive us up the wall! What plans do you have for the next couple of days? Are you all ready for Christmas? Hey there December, could you please SLOW DOWN a little! Having said that, I am starting to get into the holiday spirit a little (probably helped by my children being rather excited!). An utterly un-festive day, occupied by routine appointments and things that need to be out of the way before everything slows down for Christmas. I did manage to get the final few Christmas cards written though, which is always good! More crazy combinations from the advent calendars: the Opal one seems to produce a lot of shades of orange, which is my least favourite colour (probably, that might be reserved for brown...). I do like the purple and the speckled yarn though, and am still enjoying opening all the calendars every day. The final day of term; cue excited small children asking, repeatedly, how long they have to wait until Christmas. My son is five and pretty much the perfect age for Christmas. When we visited Santa earlier in the month he was totally sold. I cannot wait to see his face on Christmas day! Some more muted shades from the advent calendars. The one on the bottom right was donated by a friend and is gorgeous and sparkly. A day of travelling to see relatives, which is never all that much fun with small children: 'are we nearly there yet?' and 'I want to go home' are pretty common refrains. While we live a long way from relatives it's certainly worth making the effort, the kids love all their grandparents and aunts and uncles. My husband went out to see the latest Star Wars film in the evening, which I'm not bothered about seeing at all (am I the only one? It does feel like it sometimes, even though I know I'm not). So I settled down to watch the Strictly final after the kids were safely asleep in bed (I don't watch the whole series of Strictly, and just dip in and out over the series depending what else I have to do), which was excellent, even already knowing who'd won when I started watching (grr, Facebook; yes I know looking at Facebook on finals night was a mistake if I didn't want to know who'd won). Gorgeous shades from Opal in the advent calendar, and the brightest peach from the Paintbox yarns calendar - my phone did not capture it well! Panto time! For my son, husband and his mum. My son had gone to see a different Panto with school and LOVED it! So we were happy to send him off to see another, which he also loved. We let him choose who he wanted to go with as my daughter is still a bit small to enjoy it (my son said she would be scared), but next year I think we might all go along. While I don't love Pantomimes, they are a festive tradition, and I quite like those. I got on with knitting the final must-knit-before-Christmas project, which I can't show you as it's for a magazine. I was still knitting it at midnight, at which point I called it quits and vowed to finish it in the morning. Sometimes that really is the best decision! I love all of the yarns from the advent calendars on day eighteen, even the pink and orange one! And that green is fab! The must-finish project was finished over breakfast, washed in the sink while I grabbed a shower, then dried over a radiator (after squashing out all the water into a towel) until we were ready to drive on to the next destination. I had the project hung in the car to get it really dry - this one has to be in the post on the 20th, so I wasn't taking any chances! The kids and I drove further South (more complaints about the distance). We stopped at several service stations along the way (I don't like driving in winter, the changing weather and light make my eyes ache, so we stop much more frequently than at other times of year), and, as always, my kids loved the stop at Gloucester services, which has an indoor play area that is always a hit! I also appreciated ten minutes to get a little bit of knitting done. Just look at the neon. Actually, you probably can't avoid looking at it, it is a tad shouty. I've wanted to try Regia Fluormania for ages, and 10g is probably just the right amount! Last week I commented on the selection of colours I was getting out of my Paintbox Yarns advent calendar after Sara mentioned that hers were rather pastel; I'm still not sure what I want to make from it, although I do have an idea that I'm going to look into and maybe do with the kids on Christmas Eve (no spoilers in case I totally run out of time, which is a distinct possibility). Sara sent me a photo of her colours (below) and they are so neutral! I'm really hoping she has some brighter colours now, although hers has gone so far down the neutrals route it'd be really odd if she suddenly got some neons! 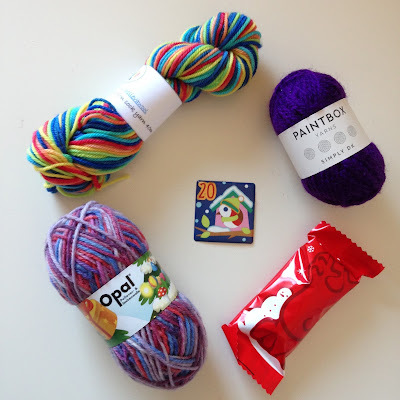 I wonder how Paintbox Yarns chose the colours for the advent calendars? Does every calendar contain 24 different shades? Are they planned in any way? And is every calendar different? There are 60 different shades to choose from, so it's certainly possible that they're all different! I'm pretty sure (from my assessment of the #opaladventcalendar2016 tag on Instagram) that the Opal calendars have 24 yarns to choose from, but the order they appear in is random. 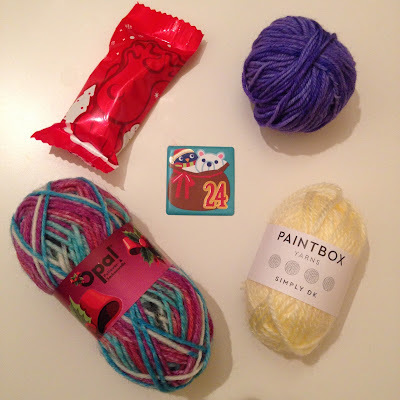 has anyone else been opening a yarn advent calendar? Are you pleased with the yarns that have come out? I'm hoping to get a bit more done on my sock yarn blanket this week as most of the Christmas planning is out of the way now (I still have to wrap the Christmas Day presents, and put one pre-Christmas birthday present in the post; this is the most organised I've been in years! ); it's stalled over the past week. The Indie Design GAL* has a couple more weeks to go, so if you're quick you could still fit in a last minute Christmas gift for someone special (or something for yourself if you're all set for Christmas). Today I'm interviewing the wonderful Amy van de Laar. 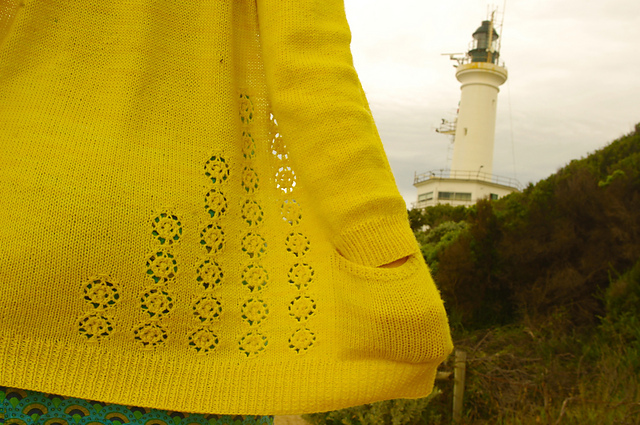 Amy van de Laar is a knitwear designer based in Ausstralia with an eclectic portfolio that features stranded designs, textured designs, hats, shawls, mittens and more. I first came across Amy when she launched her Paper Hats collection, a series of designs inspired by children's paper crafts; the styling of the collection is beautiful, and made me want to knit them all. I learned the absolute basics as a primary school kid, but I hated it and never got beyond wonky garter stitch 'rectangles'. I got into knitting as a hobby at uni, and this time progressed from garter stitch rectangles to all sorts of mad projects, thanks to inspiration from Knitty.com and the Wellington City Library's knitting book collection. Norah Gaughan's book Knitting Nature blew my little maths-student mind! I'm fussy and want everything I make to be juuuust right, so I usually end up tweaking bits and pieces when I work from a pattern. At one point I figured out how to make a pair of mitts based on my own colourwork chart, and then there was a lace scarf after that, and my designing kind of expanded from there. I got more serious about it a few years down the track, and revised my early patterns and started charging for them. I have a double-thick stranded cowl called 'Cinnamon Stars' that's in the final stages - it just needs a few more photos and a final edit. The other big thing I'm working on now is a secret unfortunately, since it's for a third-party publisher. It's going to be beautiful though, I'm so happy with how the lace is coming out! I'm torn between lace and cables. Both have so many possibilities! At the moment I'm really into graphic, geometric lace created with simple yarn-overs and decreases. 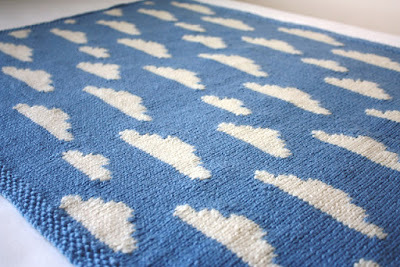 I like it when projects just flow off the needles, so simple stitches combined in cool ways are my favourite. Two-colour brioche! I have Nancy Marchant's book Knitting Fresh Brioche, and I want to start playing with swatches. 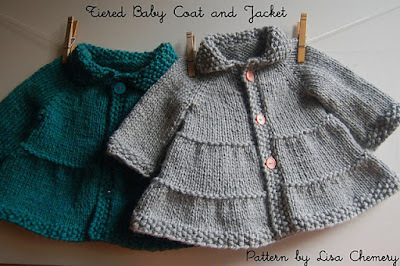 I need to wait until January though, so I don't fall down a designing hole and neglect my deadline knitting or the GAL. I'd also like to get to grips with magic loop at long last. I'm actually not super big on Christmas, unless we happen to be hosting the family. I like to knit gifts occasionally for birthdays, or when someone special deserves a woolly treat - hats and scarves and cowls always seem to be well-received, especially when I consult with the person about the colour and the pattern. I do enjoy Christmas baking though - I like to give European favourites like panettone and stollen a try. 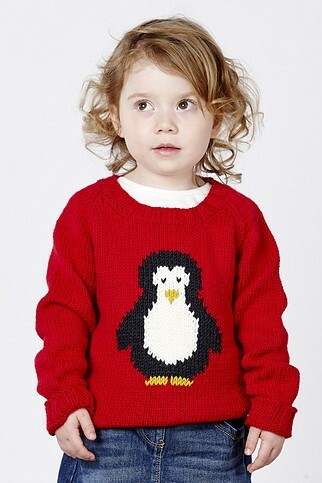 I'm always on the look out for last-minute knits for friends' children, and when I saw DMC Top This! in my local yarn store, I knew I wanted to try it out (especially as my daughter requested that I bought the ball with the owl hat topper; she's pretty irresistible when she requests something). DMC Top This! is a ball of self-striping chunky weight yarn that comes with a small stuffed toy that can be used as the pom pom for a hat; there's even a little label featuring washing instructions, which you can stitch into the finished hat. 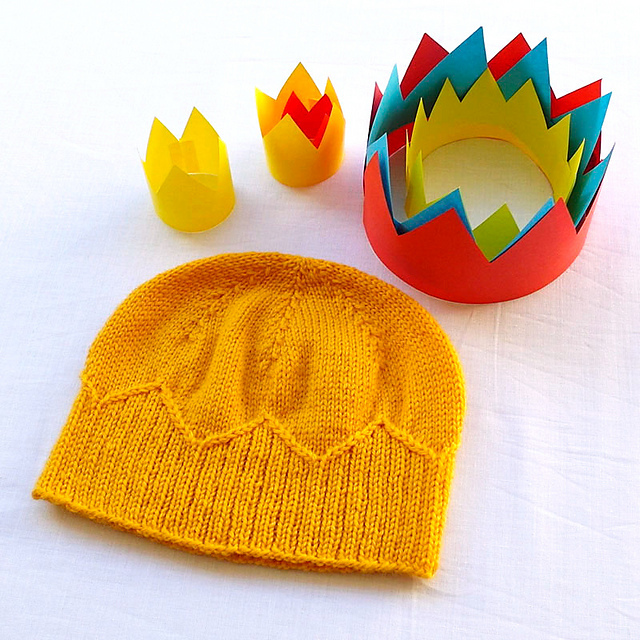 The yarn comes with instructions to knit a hat, and instructions on how to attach the pom pom. All you need to supply are knitting needles and a darning needle to weave in the ends (you'll also need sewing thread and a sharp needle if you want to sew the label in). Working at a gauge of 15 sts to 10 cm, the yarn knits up really quickly, and the self-striping nature of the yarn keeps it interesting. The different colour sections also have different textures - some regions are smooth while others are more like chenille. The yarn has a chainette construction, and the different sections are very securely joined to one another. The yarn is rather synthetic, but not unpleasant to work with (but you may wish to avoid it if you dislike velvet textures - the chenille region is very similar). Easy enough to knit whilst reading a book! The pattern is clearly written and comes in a range of sizes from child to small adult. I knitted an intermediate size and had plenty of yarn left over. My ball came with two sets of instructions, one for knitting in the round and another for knitting flat, which gives you plenty of options. Attaching the pom pom was easy: the yarn comes with a foam button to put underneath the pom pom to stop it pulling through the fabric, and the pom pom itself has ribbons on the underside to tie the pom pom in place. 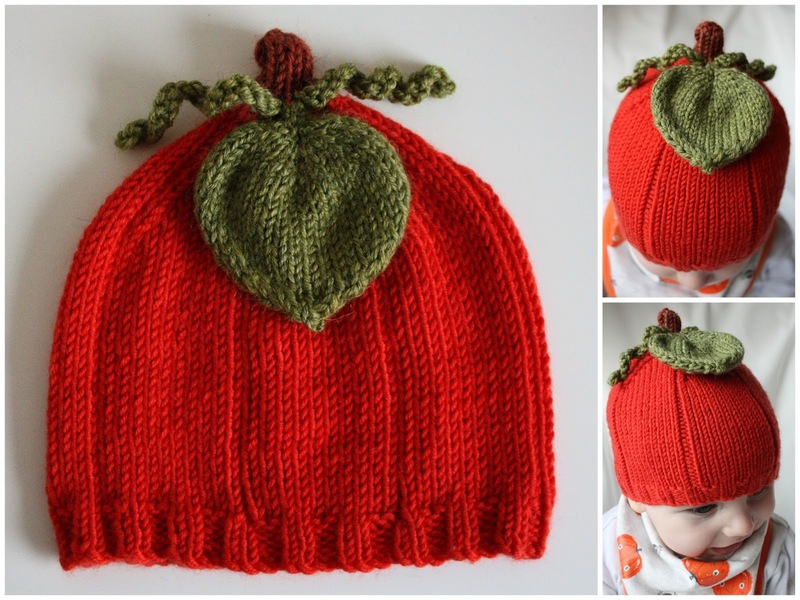 I gifted the hat I made to a two year old last weekend, and she was delighted with it. She did, however, find the ribbons a bit tickly, so if your child is sensitive to such things, you may wish to stitch the pom pom in place instead. I have another of these to knit for my daughter (the owl I mentioned earlier), and would definitely recommend these if you need a last minute gift. 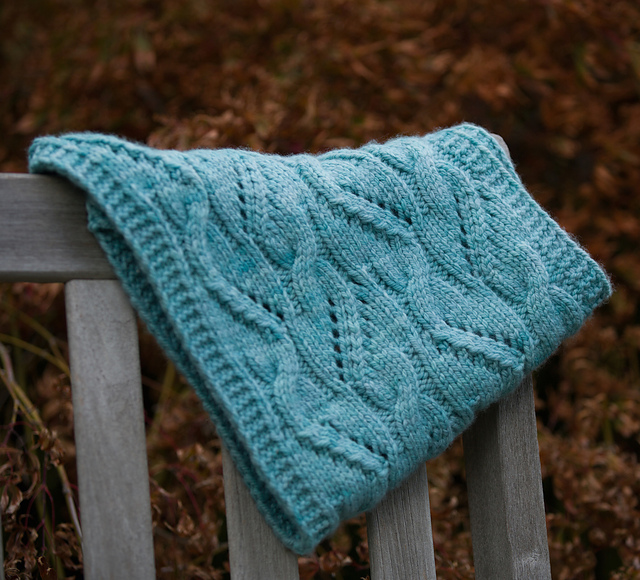 You might even have time to knit one for this Christmas if you order now! 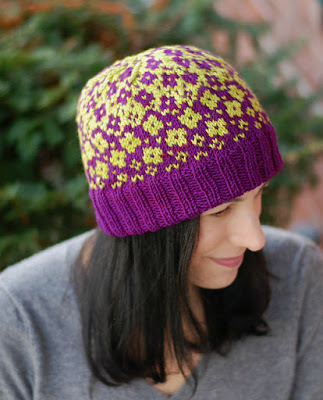 The Indie Design GAL* is continuing over on Ravelry until the end of the year. The giant craftalong features the works of 335 designers, so there's plenty for everyone! Here's my interview with Sloane Rosenthal, a fellow GAL designer. Sloane Rosenthal is new to knitwear design, but has so far created a collection of beautifully curated designs in a wonderful palette of jewel tones. In addition to designing knitwear, Sloane is a lawyer, mum and power lifter, based in North California, and describes herself as an ‘all-around-professional-tired-person’. 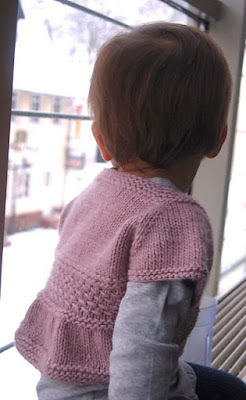 I learned to knit after my older daughter, who is now five, was born. Both my mom and my mother-in-law are knitters, and my grandmother crochets, but I didn’t learn until I was an adult. I think I was drawn to designing for the same reason many designers have been: I saw a lot of beautiful patterns out there that were close-but-not-quite what I really wanted to be making and wearing. After a lot of varyingly successful modification projects, I decided to take the leap into designing my own garments and accessories. These days, I really appreciate the tangible, physical, math-driven nature of knitwear design as a counterpoint to my day job as a lawyer, where my work is very abstract and subjective. I just released my first sweater pattern, the Stinson Beach Cardigan, which is a cabled cardigan knit in Quince’s Osprey and Piper held together. It was my Rhinebeck sweater this year, and I confess I have barely taken the sample off since we photographed it. I have three secret sweater projects in the pipeline for release this winter and next fall, and I’m working on a second collection of accessory patterns in small-batch yarns for release next fall. Apparently, I have a thing for cables! 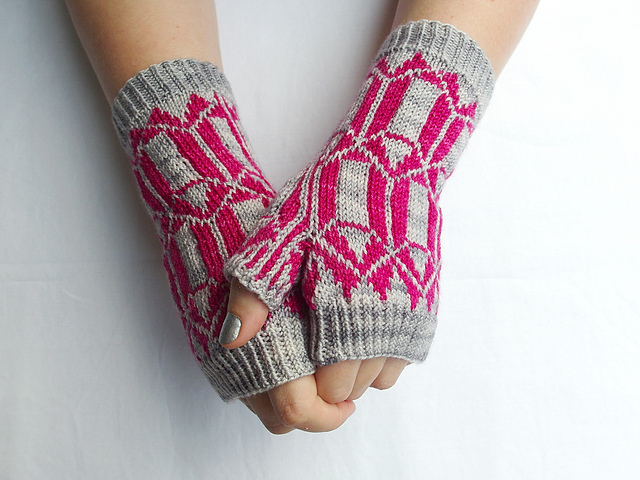 I also really love stranded colourwork, although I’ve yet to publish any stranded designs. 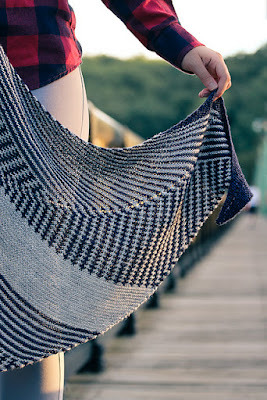 My favorite knits are in that sweet spot between “challenging enough that it stays interesting” and “not too fussy to work,” so I love to knit cables, texture, and colorwork patterns that feel rhythmic in your hands and have you wanting to knit “just one more row!” to see where the pattern is going. I’d like to design more with lace, and some shawls in the next year. I’d also like to experiment more with sweater construction, although I admit I find it hard to argue with bottom-up, seamed sweaters, which have a lot of advantages in fit and durability. I’m a big fan of Jennifer Dassau and Amy van de Laar. I think Amy’s cables are fascinating, and I love her photography style! I have for the past few years, but this year I have some early February sample deadlines, so I’m doing less gift knitting than usual. For gifts, I’m a big fan of hats and cowls, which are always needed and can fit a wide range of wearers. 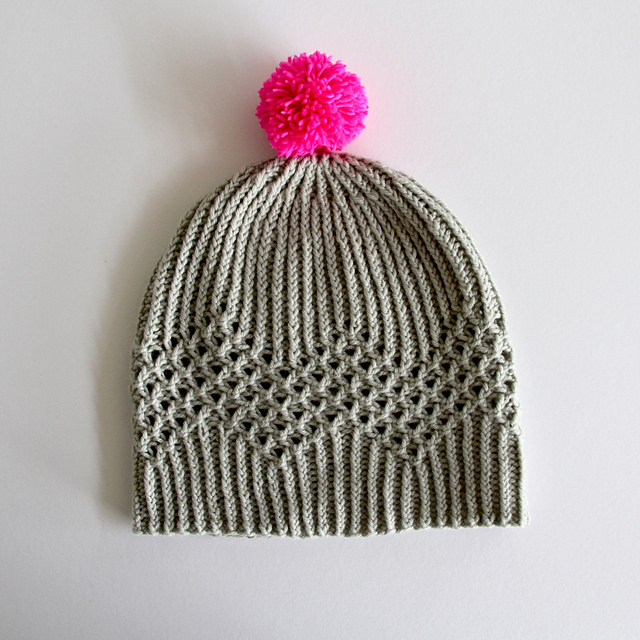 For hats, I tend towards designs that have more inherent stretch, like ribbing or certain cable-based designs, that fit a wider range of wearers. Sloane can be found on Ravelry and Instagram as skrosenthal, and her website is tightlyknitdesigns.com.